Biznext India : The Monetary Policy Committee (MPC) in its Sixth Bi-Monthly Statement, issued today, on the basis of its assessment of the current and evolving Macroeconomic situation, decided to reduce the Policy Repo Rate under the Liquidity Adjustment Facility (LAF) by 25 basis points from 6.5 per cent to 6.25 per cent with immediate effect. Consequently, the Reverse Repo Rate under the LAF stands adjusted to 6.0 per cent, and the Marginal Standing Facility (MSF) Rate and the Bank Rate to 6.5 per cent. As against the GDP Growth projection of 7.4% for 2018-19 in the Fifth Bi-monthly Resolution in December, 2018, the CSO has estimated GDP growth at 7.2%. However, the GDP growth for 2019-20 is projected at 7.4%. The Actual Inflation Outcome at 2.6% in Q3: 2018-19 was marginally lower than the projection. The projections of inflation for 2018-19 and H1:2019-20 have been revised downwards from the December resolution. 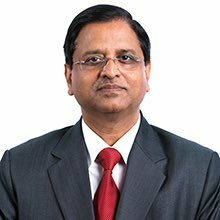 Subhas Chandra Garg, Secretary, Department of Economic Affairs, Ministry of Finance said that the assessment of the MPC for growth and inflation outlook is consistent with the Government’s assessment of Inflation and Growth. Shri Garg further said that the Government welcomes the assessment of the MPC and its decision to reduce the Policy Rate and change of Monetary Policy Stance.